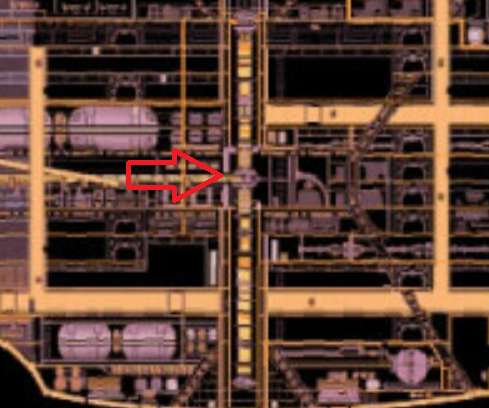 On Galaxy class vessels such as the Enterprise-D, the dilithium chamber/center of the warp core is located conveniently on the deck that matches the ground floor of main engineering. We can see on a few occasions how Starfleet personnel check or do something to the dilithium crystals by simply walking up to the warp core and extending a drawer with the crystals inside. On the Sovereign class Enterprise-E, on the other hand, the dilithium chamber is located one deck above the ground level of main engineering, apparently quite far away from any of the walkways on the upper decks. A schematic drawing of the same room can be found on Ex Astris Scientia. How can maintenance staff access it in-universe? Is there any extensible bridge or lift hidden somewhere (at least mentioned in behind-the-scenes notes, even if the actual set doesn't feature the mechanism), or do they actually have to bring a plain old portable ladder? show that there's a deck-level access to the warp core assembly (and the injectors) from behind main engineering. 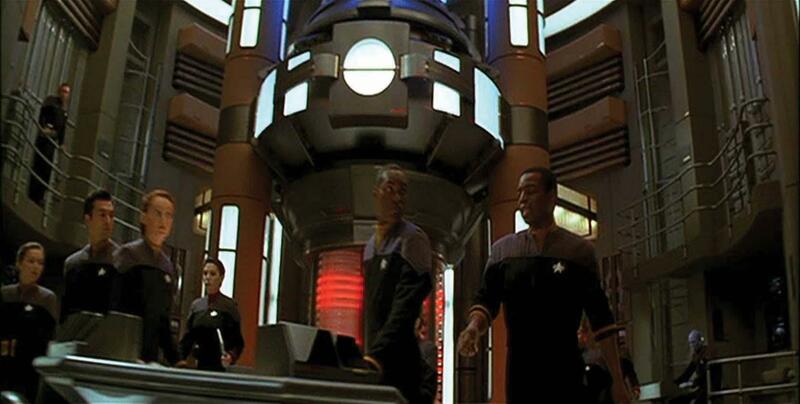 What you're looking at when you look at the warp core from Geordi's workstation is the rear of the dilithium chambers, not the front. Not the answer you're looking for? Browse other questions tagged star-trek star-trek-tng engineering or ask your own question. How fast can the Galaxy class Starships go in reverse? How many photon torpedos can an Ambassador-class starship’s shields withstand? How long can a galaxy class starship last before it needs servicing? 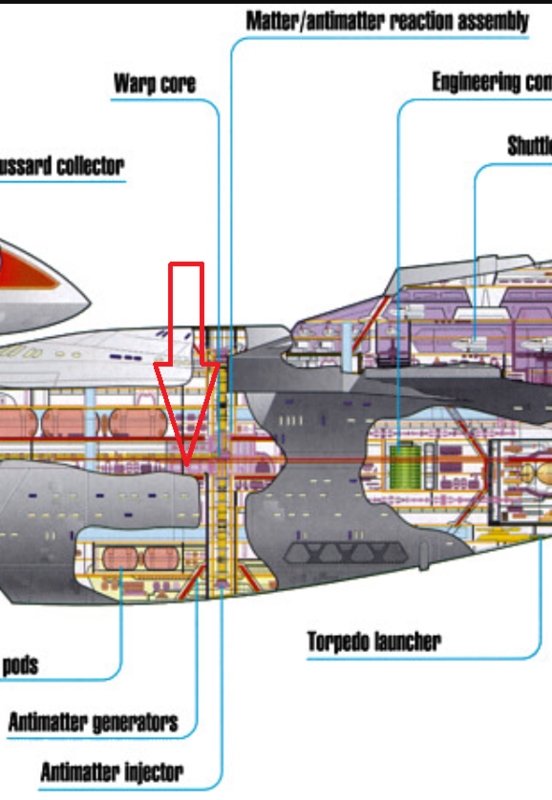 What was the cause of change of design of the Sovereign-Class deflector? Why didn't the Sovereign Class have folding warp nacelles? Can a Galaxy-class saucer section join onto a Nebula-class ship?